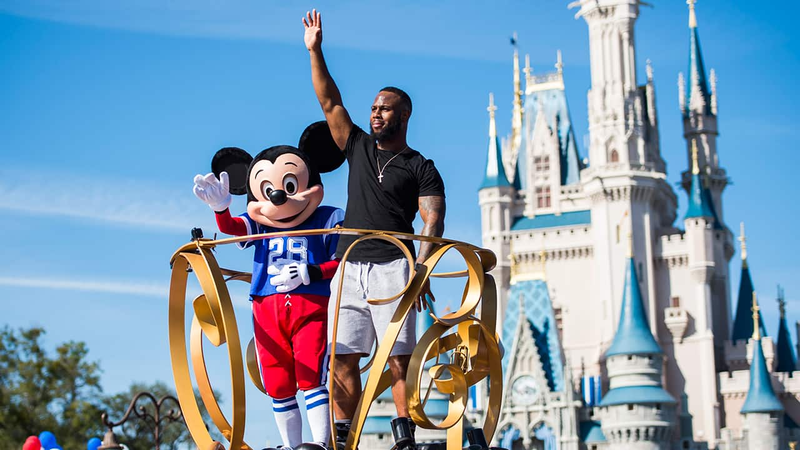 Perched atop a parade float with Mickey Mouse, Super Bowl hero James White celebrated his team’s Super Bowl victory in classic Disney style – riding in a magical parade Monday afternoon at Walt Disney World Resort. 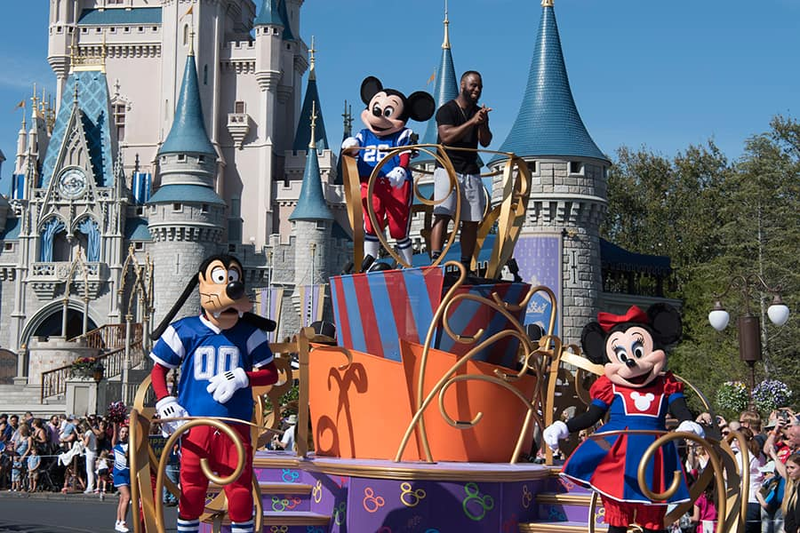 Mere hours after delivering an extraordinary performance in Houston, where he scored three touchdowns to propel his team to a record-setting Super Bowl win, White reveled in the celebratory parade at Magic Kingdom Park, continuing a Super Bowl tradition that has endured for 30 years. 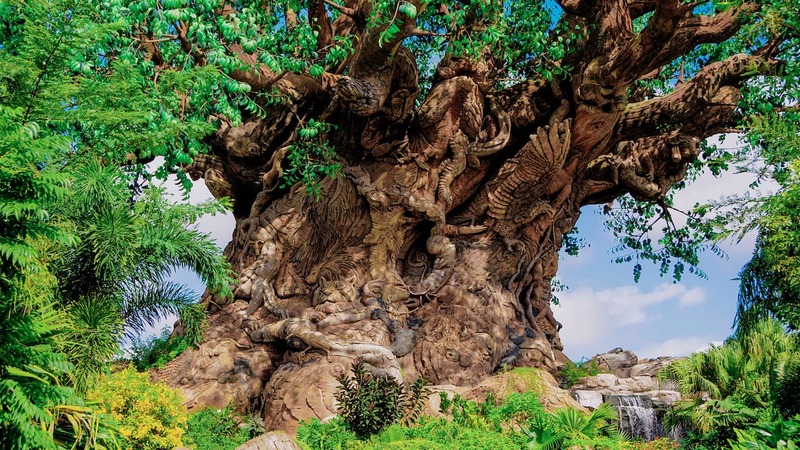 On a sun-splashed day, White danced at times during the parade, waved to the throng of guests along Main Street U.S.A., and generally just had the time of his life. 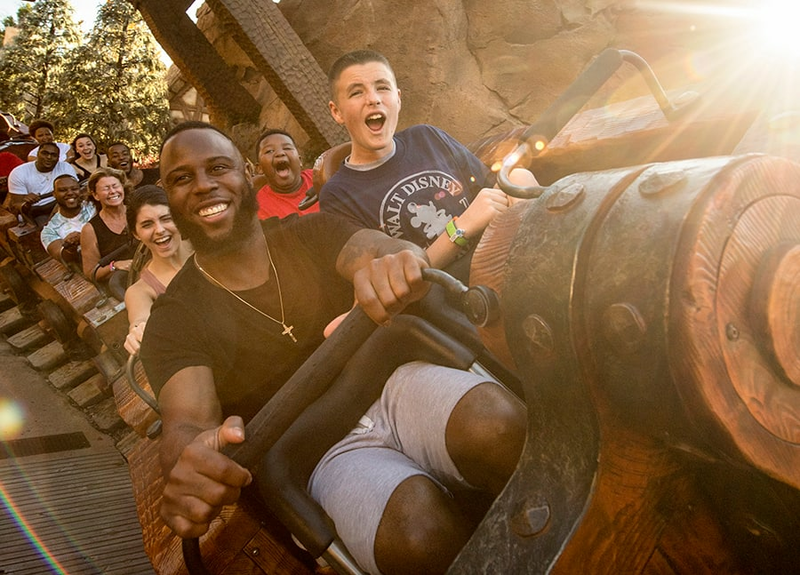 Before and after the parade, he spent some time enjoying the park, experiencing several signature attractions with his family, including Seven Dwarfs Mine Train and Space Mountain. 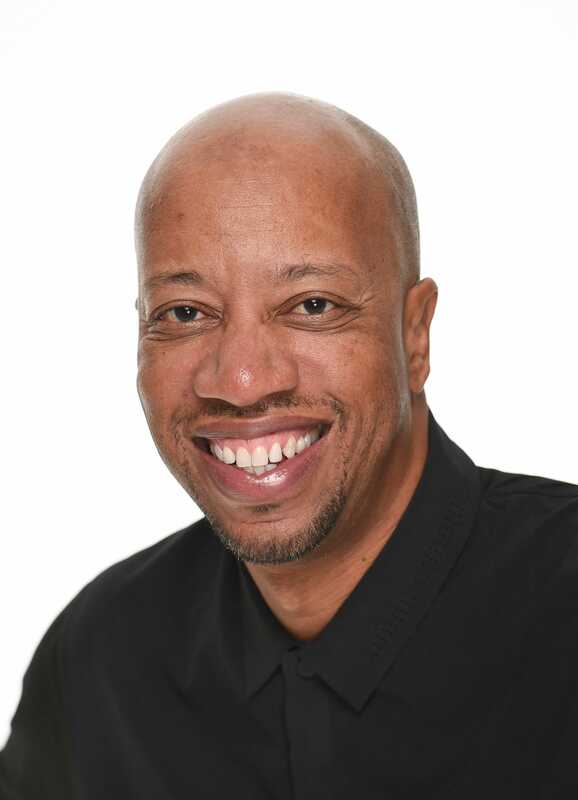 If you weren’t able to be there, check out this video from White’s magical day! Congratulations to the New England Patriots, for their 5th Super Bowl win! 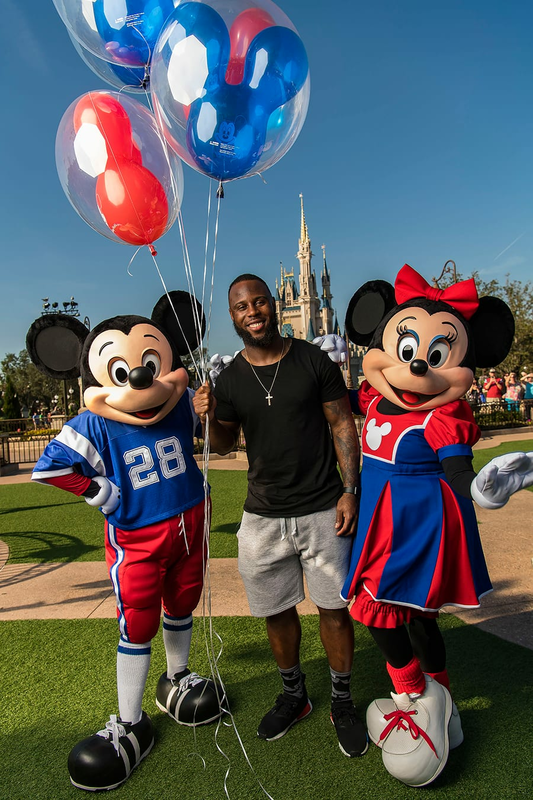 So happy that James White, was there at Disney World, to celebrate his win, at the happiest place on earth.